Thankful for our loyal donors that have supported our mission for the last 25 years. These Fairgoers have watched project after project improve the historic Fairgrounds. Thankful for the brand new donors in 2018. Thank you for joining our charge to keep the Iowa State Fairgrounds in tip-top condition for future Fairgoers. Thankful for the 500+ volunteers that give the gift of time. Sometimes in the summer, it feels like there aren’t enough hours in the day to accomplish everything on the “to-do” list. Volunteers keep the Blue Ribbon Foundation moving in the right direction. Thankful for the other Fair staff for the support. It takes all hands on deck to host Iowa’s single largest event and one of the oldest agricultural and industrial expositions in the country. The other departments quickly jump on board with the crazy fundraising ideas and help make them happen. Thankful for the interns that join our staff. In the summer, our staff doubles in size and triples in the amount of responsibilities. Without a doubt, we couldn’t be successful without the extra help. Thankful for the people across Iowa and across the country that love the Iowa State Fair. These Fair-lovers donate and encourage others to donate to the Blue Ribbon Foundation. They are some of our biggest advocates and allow us to continue raising funds to help preserve the Iowa State Fairgrounds. So this holiday season, between the servings of mashed potatoes and pies – we encourage you to reflect on the reasons you are thankful. 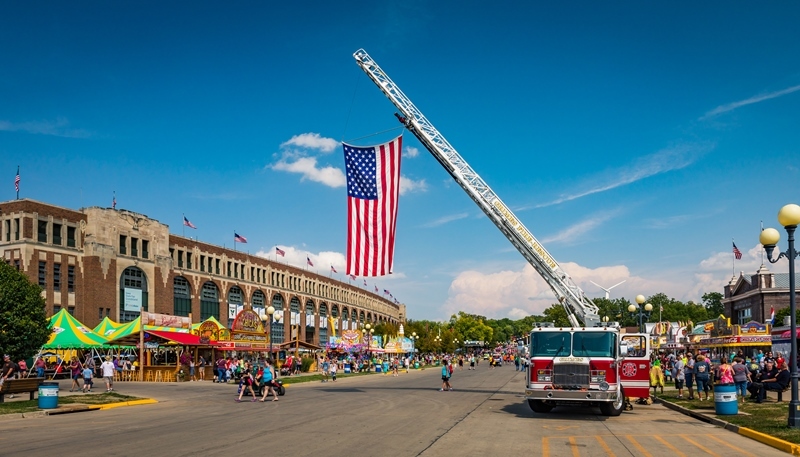 If the Iowa State Fair holds a special place in your heart, consider giving a donation. When you give to the Blue Ribbon Foundation, your family traditions and memories will continue for the next generation.